This gun site has confused me for a while, mostly because I had not read the AA Brigade War Diary properly! 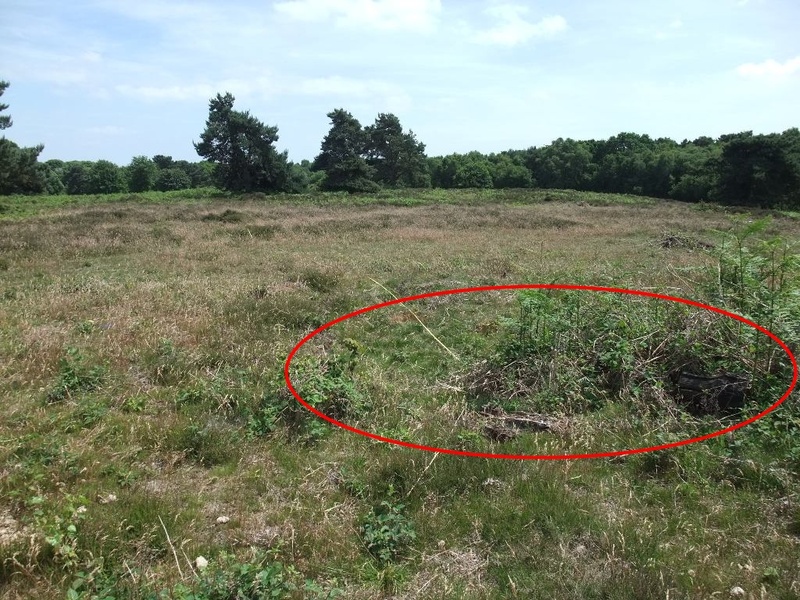 I knew that a Diver (term used to refer to the V1 fly bomb) gun site was in the locality and finding four depressions laid out as specified by AA Command for a four gun 3.7" site I thought I had found it. Except that the layout was the 'wrong way round', i.e assuming a primary bearing of 45 degress, the the two outer guns are behind the two inner guns. The layout of such sites was 'bow shaped' (there is no description of the layout of such Intermediate Sites in any War Diary I've seen so far). The guns would appear to have been mounted on Pile Platforms, and not the usual wooden cruciform platform for static 40mm guns. 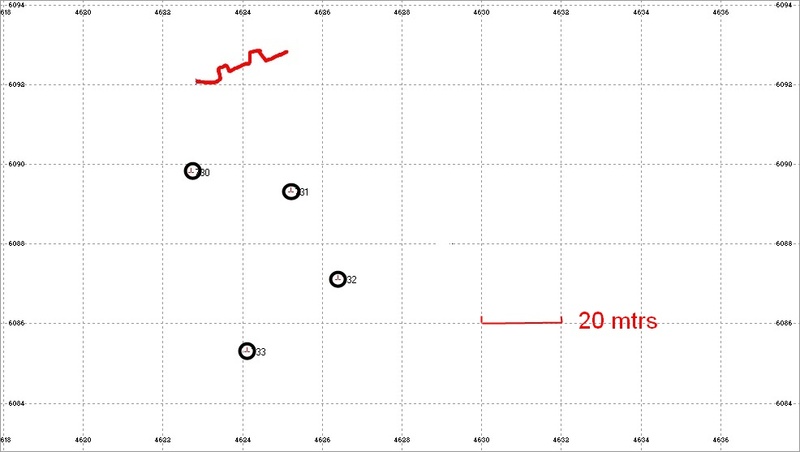 Above image shows a GPS plot of the remains. They consist of four shallow depressions and a short section of trench. The depressions are approx 18-20 ft in diameter, exactly what you would expect for a Pile Platform. They are spaced approx 82 ft apart (approx 27 yards) and laid out in a bow, at right angles to the Primary Bearing (which was 45 degrees for Diver in Suffolk). 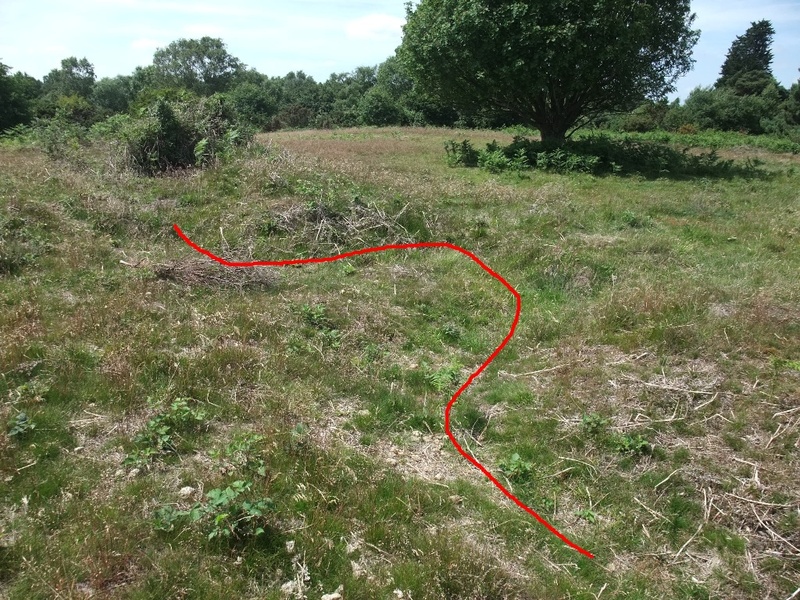 The section of trench could either be a standard slit trench for use for shelter for the gun crews or perhaps dug for trench shelters for use as command posts, ammunition strores etc. Such trench shelters were issued by Eastern Command before the more permanent structures of the 'Winterisation' progrmme were constructed. I am not 100% sure of the conclusions stated above, as there is no specific document record to confirm it for this site or similar sites; it is just putting together information from various War Diaries and trying to apply that to remains on the ground. The lack of documentary records for 'Intermediate' sites is not surprising, they were largely withdrawn from the Diver Gun Strip in October as they did not perform as well as expected. Finally, if you want to know more about Intermediate Sites, Welter Sites, HAA sites etc, I have now started to post Diver on my website. Above images show one of the pits and part of the trench (as with photos of earthworks in general they don't show up that clearly). 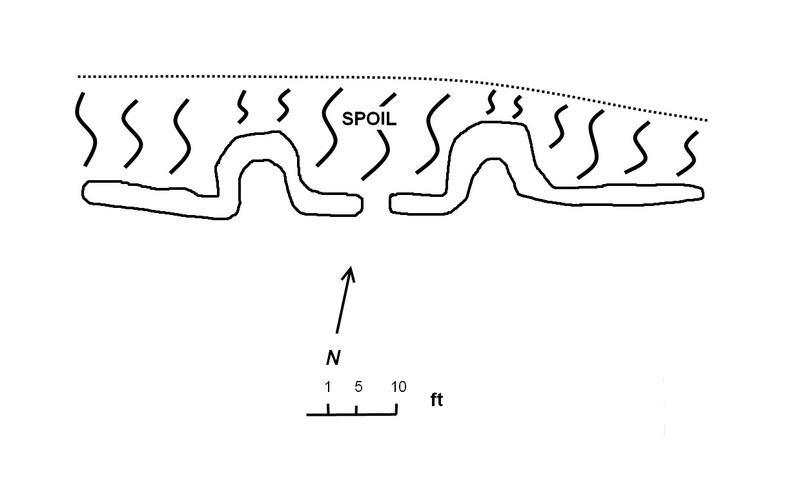 Top image shows one of the shallow pits, with a tape running off towards another pit. Bottom image shows part of the trench.